Making a backup of your blog is what every blogger should practice. Since Google Reader has been shut down, rumors have been spread that Blogger MAY shut down too. So being sorry in the near future would not help you but the backup you make now would surely do. No one knows when his blog would be hacked by hackers or a malware breaks down all the coding of the template. Sometimes while editing a template we may delete/add some codes which may make the blog's template not as you desire. This makes making a backup for your blog really important. 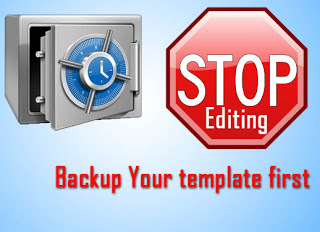 A Blogger should make a backup of his template once and keep it at a safe place where you can find it easily. We recommend to make posts backup once in every week. It may look tedious to you but your small effort can save your blog one day. 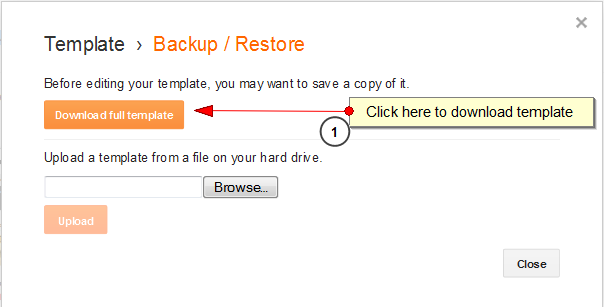 Here are the steps to make Template and Posts backup. Go to Blog Title → Template. Click at Backup/Restore button at Top right. A Popup box will appear click on Download full template button. Your template will start downloading. Save it in a place where you can find it easily. You should always make a template backup before editing the template. Head up to Blog Title → Settings → Other → Blog Tools. Click on Export Blog option. A popup box will appear again. Click on Download blog option. Your posts will be downloaded. you can upload it to other CMS Platoforms like WordPress too. Save the file. You are done. Make sure you make Posts backup once in a week. Now you have both Posts as well as template backup. You can import them whenever you want. Make you blog's backup before its too late. iam totally addicted to ur blog . nice blog. How to take blog backup with "Search Description" ..?